As promised by the current Duterte administration, they are now urging those listed universities and colleges to accept the qualified students in order to study without spending anything. The Republic Act 10931 (also recognized as Universal Access to Quality Tertiary Education Act) is now in effect. From the latest published news through philstar.com, the beginning of the Students of State Universities and Colleges (SUCs) will take effect this coming semester. With this new passed law, qualified applicants can enjoy free studies without paying for their tuition as well as miscellaneous fees. Republic Act 10931 means free tuition in college without collecting the students. From the statement of Senator Paolo Benigno “Bam” Aquino IV, he said that the Commission on Higher Education (CHED) confirmed that the SUCs are going to accept qualified students for the upcoming semester without requiring them to pay for tuition as well as miscellaneous fees. “Yesterday I was able to confirm that this will already be implemented for this second semester. 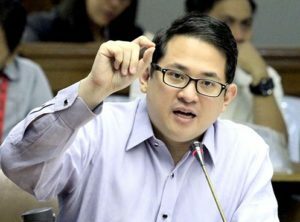 So everyone who will enroll this second semester will no longer have to pay tuition and miscellaneous expenses,” said Senator Aquino as quoted by philstar.com. On the other hand, CHED made a clarification that this new law became effective than its initial plan because they were suppose to implement the Universal Access to Quality Tertiary Education Act by the 2018-2019 school year. Sen. Aquino is the principal sponsor and co-author of this imposed law. The RA 10931 is a part of the 2018 national budget proposal amounting to 40 billion pesos and this is a huge allocation to ensure better education in the Philippines. The good senator likewise revealed that even dropout college students could verify the guidelines of the new law and apply for scholarship if they qualify from the listed SUCs in the country. The members of the staff of Sen. Aquino and the designated partners are set to visit the SUCs to determine if these universities and colleges adhere to the guidelines of RA 10931. In the recently concluded ASEAN Summit held in the Philippines, the Filipinos will have good news about the bilateral talks of New Zealand and the Philippines. Both countries agreed to a memorandum of cooperation for quality education. 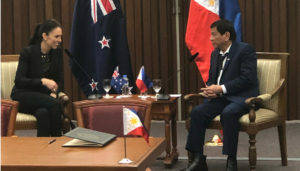 According from the latest news reports through philstar.com, both the Philippines and New Zealand agreed to a memorandum of cooperation, wherein they want to provide quality education for the Filipino people. The Prime Minister of New Zealand Jacinda Ardern and President of the Philippines Rodrigo Duterte agreed to the memorandum on Tuesday afternoon at the Philippine International Convention Center (PICC). Both leaders had bilateral talks and later on confirmed the agreement. 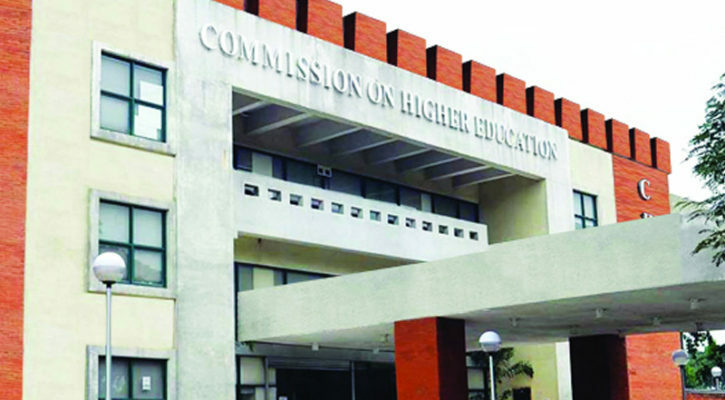 From the published information about the signed memorandum, it aims to deal with the “comparative analysis of bachelor degrees between the two nations,” which involved the Commission on Higher Education (CHED) of the Philippines and New Zealand Qualification Authority. The signing of the agreement happened after the talks that involve David Strachan (New Zealand Ambassador to the Philippines) and Patricia Licuanan (chairperson of CHED). According to the statement of President Duterte, the memorandum is significant for the Filipinos to help them learned about education equality in New Zealand. He considered it as a good development for the country. Based on the recorded data at present, there are over 50,000 Filipinos in New Zealand and about 4,000 are students there. In line with this, the 37-year-old Prime Minister appreciated the time she spend in attending the ASEAN Summit and the Philippines. “I see it as a real positive that my first personal visit outside New Zealand is to Southeast Asia. New Zealand has recognized the importance of this region for more than 40 years, but we have never been closer than we are today,” New Zealand Prime Minister Jacinda Ardern stated during the signing of the agreements on November 14 as quoted by Rappler. As for the data of the tourism department of the country, it recorded almost 29,800 tourists from New Zealand from 2016 until this year. In the other hand, almost 23,120 Filipinos went to New Zealand and this definitely showed great improvement for the past few years. Besides the agreement to improve the quality of education and tourism, both nations likewise inked to a Memorandum of Understanding (MOU) to improve their ties in airline transportation. 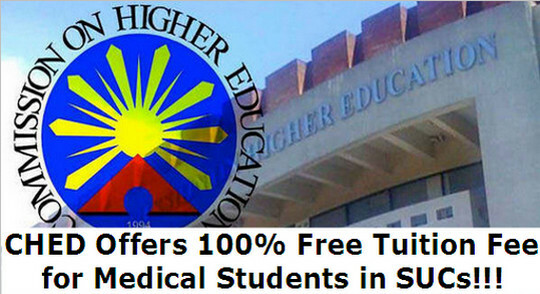 For the aspiring medical students in the Philippines, the good news came from the Commission on Higher Education (CHED) to help them achieve their goals. For those students who qualify, they will have an opportunity to receive free tuition in different state universities and colleges (SUCs). The free tuition will be available for the school year 2017-2018. 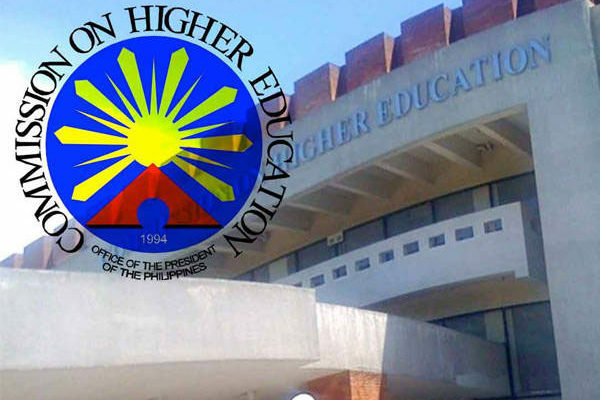 According from the news online, CHED had already allocated the amount of P317.1 million to provide aspiring medical students with free education as part of their prepared budget for 2017. At least eight state universities as well as colleges will be part of this program. The announcement came from Prospero de Vera III on Tuesday, which he posted through a social media network online. Rappler likewise confirmed the good news on Wednesday to CHED chairperson Patricia Licuanan during an interview. 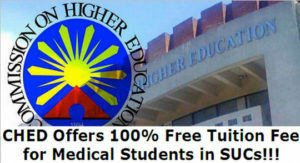 “Doctors of Medicine students in the State Universities and Colleges (SUCs) can now avail and enjoy full tuition subsidy through the Cash Grants to Medical Students enrolled in State Universities and Colleges (CGMS-SUCs) program of the Duterte administration,” as stated by the joint memorandum circular of CHED and Department of Budget and Management (DBM) and quoted by the news. 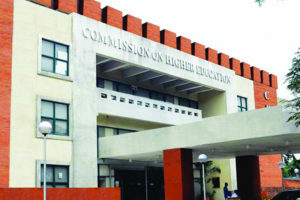 De Vera is the current commissioner of CHED. According to the commission, each of this school will get almost P39 million for the program implementation.